Dementia risks for 17 sugar levels were tested in 2000 people. Without exception, each higher level bumped up the risk. See why researchers found these results so astonishing. 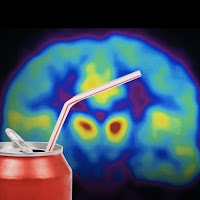 "The most interesting finding was that every incrementally higher glucose level was associated with a higher risk of dementia in people who did not have diabetes," said first author Paul K. Crane, MD, MPH, an associate professor of medicine at the UW School of Medicine, adjunct associate professor of health services at the UW School of Public Health, and affiliate investigator at Group Health Research Institute. "There was no threshold value for lower glucose values where risk leveled off." These measurements included blood glucose (some fasting, some not) and glycated hemoglobin (also known as HbA1c). Blood sugar levels rise and fall in peaks and valleys throughout each day, but glycated hemoglobin doesn't vary as much over short intervals. Combining glucose and glycated hemoglobin measures into a composite measure required special statistical techniques, which Drs. Crane and Larson's co-authors Rod Walker, MS, a biostatistician, and Rebecca Hubbard, PhD, an associate investigator, both from Group Health Research Institute, had developed. (Dr. Hubbard is also an affiliate assistant professor of biostatistics at the UW School of Public Health.) These sophisticated statistical models required specialized data on the relationships between glycated hemoglobin and glucose levels, and they used data generated by co-author David M. Nathan, MD, a professor of medicine at Harvard Medical School and director of the Diabetes Center at Massachusetts General Hospital. Carbohydrates directly cause dementia and diabetes.